Today’s award, as you might expect, gives me an excuse to bring up a game that I haven’t really talked about this year, despite it being something that is eminently worth talking about. The reason I haven’t talked about it is pretty simple: I haven’t finished playing it, and as regular readers know I prefer not to write in detail about something without having a thorough understanding of it, usually by at the very least beating its main story. The other reason I held fire is that there were a flurry of articles about it around the period of its release earlier in the year, and I didn’t want to add to that noise at the time. I do want to acknowledge it before the year is out, however, so that’s what today’s award is all about. You never saw that coming, did you? (I’m sorry, that won’t happen again.) Anyway, yes, Persona 5 is an incredibly interesting game for a number of reasons that I’d like to take the opportunity to talk about a bit. I won’t delve too deeply into the narrative because, as I say, I’m yet to actually beat the game, but there are a number of other aspects worth discussing. First of all, why haven’t I finished it? Simple; I’ve been playing other stuff alongside it, mainly for Cover Game features here on MoeGamer. 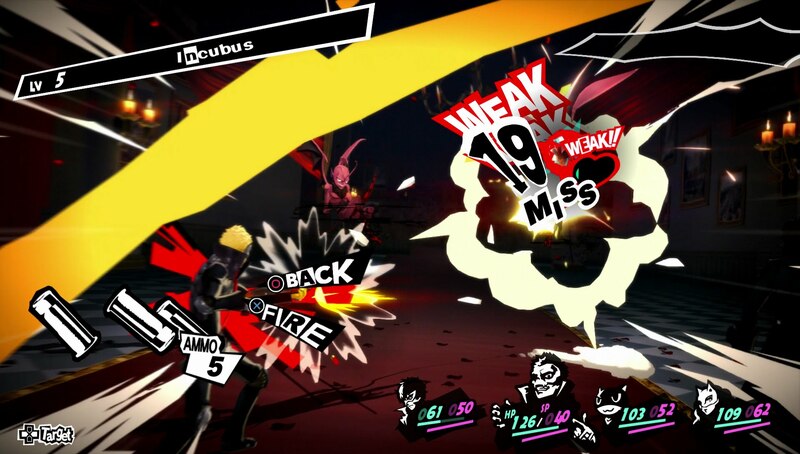 This isn’t a bad reflection on Persona 5 at all; the only reason I’ve taken so long over it is because it’s one of the rare games my wife has enjoyed watching me play, but she is also hooked on Final Fantasy XIV, so we manage maybe one or two evenings a week of Persona 5, during which she inevitably falls asleep. Consequently, it has taken quite a while to get through, but I think we’re finally closing in on the end. One thing I find particularly interesting about Persona 5 is how consistently well-received it has been by press and public alike, despite its execution being closer to more niche-interest Japanese PC RPGs such as Aselia the Eternal than what you might typically expect from a reasonably high-profile console RPG. To clarify what I mean by that: Persona 5’s pacing most certainly doesn’t prioritise flashy gameplay and interactivity, which is quite unusual for modern console RPGs; they typically want to get you into the action fairly quickly. 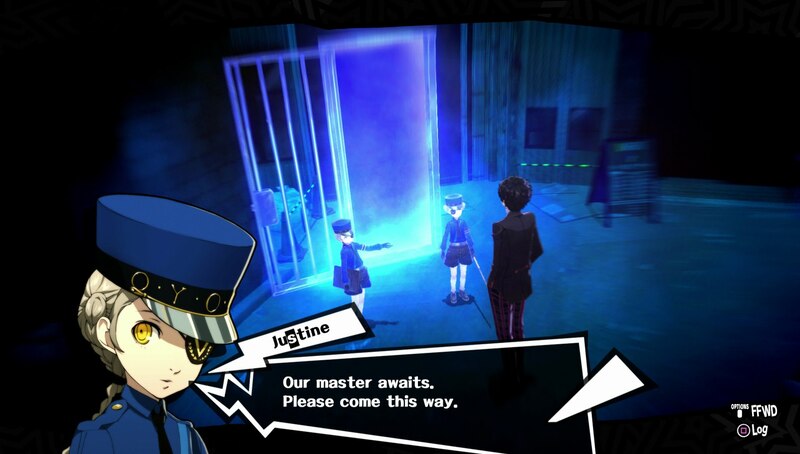 In Persona 5, meanwhile, there are vast tracts of the game where you are doing nothing but clicking through dialogue for up to two or three hours at a time; this approach is often somewhat divisive, and indeed previous installments in the Persona series (particularly 4) have often drawn criticism for it taking so long between starting the game and actually getting into dungeon crawling and combat. Persona 5 has this “issue” (if it’s an issue for you — it isn’t for me, but your mileage may vary) — throughout the entire game, though once you get to a “gameplay” portion you tend to be relatively uninterrupted for about 20 solid in-game days at a time. It helps that Persona 5’s narrative is so thoroughly compelling, of course, and that its characters are so likeable. 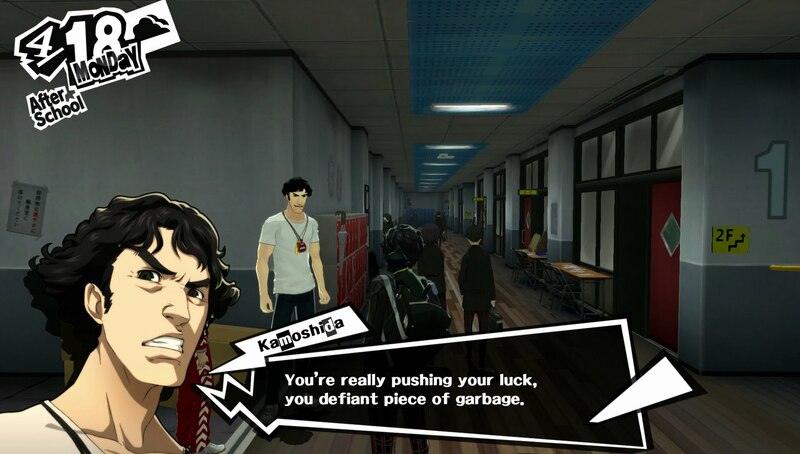 Here we raise another interesting inconsistency, however; while Persona 5 deals with a number of challenging themes over the course of its story and has quite rightly drawn praise for tackling issues that are relatable and of very real concern to a wide variety of people, this is by no means the first time a Japanese RPG has attempted to explore such subject matter. Indeed, earlier in the year some went so far as to claim that titles like Persona 5 and Nier Automata were evidence of Japanese games suddenly “getting good” after years of being “kind of bad” — an assertion with which I emphatically disagreed at the time and still do. But let’s not get hung up too much on that side of things as I’ve already discussed it at length in those articles I’ve linked above. 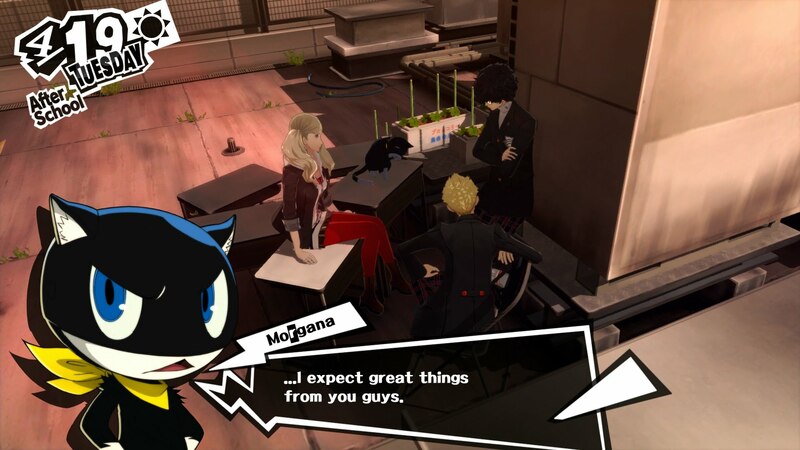 What I do want to highlight Persona 5 for in particular is something for which the series has become known for primarily since its third installment: its incredible, distinctive and beautiful sense of style. 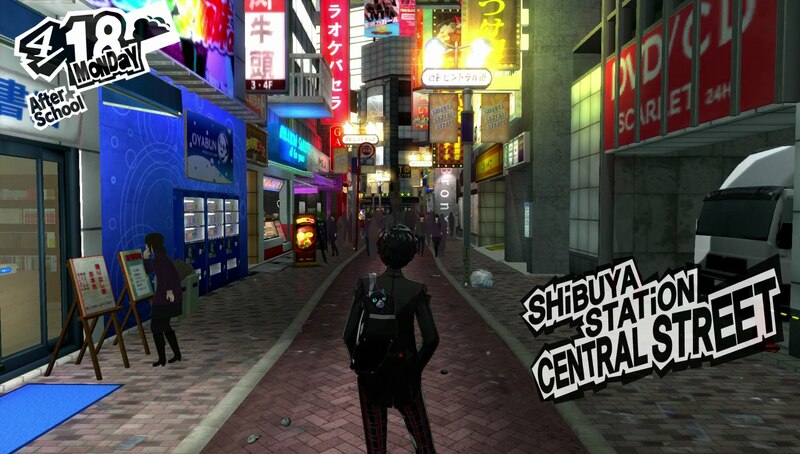 Persona 5 is by no means the best looking game on the PlayStation 4 from a technical perspective. Indeed, its PlayStation 3 roots and cross-platform nature are very much apparent in aspects such as extremely noticeable pop-in on background characters, who are also noticeably lower detail than main characters; blurry, low-resolution textures on walls and floors; large environments split into smaller areas that have to be loaded separately; a framerate locked at 30fps, which is a cardinal sin to some people; and plenty of other things besides. 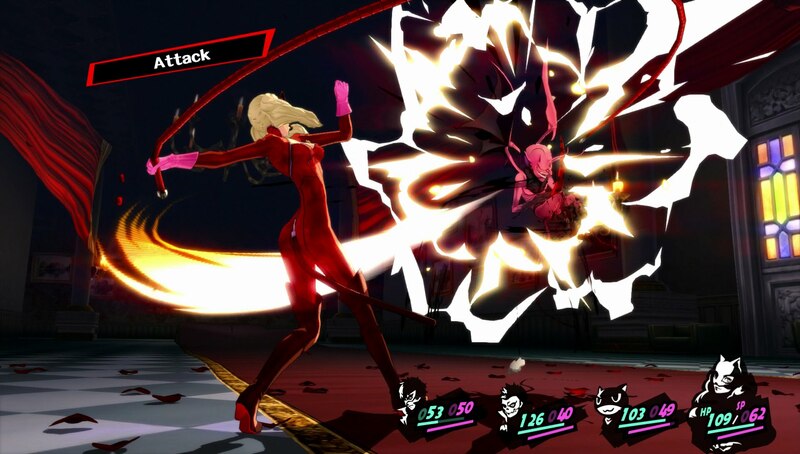 It’s testament to Persona 5’s overall beautiful design, however, that none of these things matter or are typically brought up as worthwhile criticisms that affect the overall experience. Rather, Persona 5 shrugs its shoulders at its inherent limitations and goes with a strongly stylised look rather than striving for realism, featuring well-animated cel-shaded characters, numerous non-literal visual effects such as manga-style onomatopoeia, impact lines and the “paint splash” footsteps effect in the game’s Metaverse sequences, and extremely effective use of cut-ins and other comic-style stylistic components, both in and out of battle sequences. Like other games that take a similarly strong, stylised approach despite technical “shortcomings” — the Danganronpa series is another great example that we’re yet to explore here on MoeGamer at the time of writing — after a while any “weaknesses” you might perceive with Persona 5’s presentation completely cease to matter because the rest of the aesthetic is so well-designed. All this is complemented by Shoji Meguro’s trademark unconventional soundtrack, featuring upbeat pieces making use of recognisable modern instrumentation and often including lyrics, in many cases drawing influences from urban, funk and soul compositions. This latter aspect is understandable given the game’s distinctly more urban setting of inner-city Tokyo, something of a contrast to the previous games unfolding in smaller, fictional locales, but there’s also a stronger feeling of theatrics to the game’s main “Palace” dungeons due to each of them having their own unique catchy themes rather than the more atmospheric tracks from earlier games. The theatrical aspect is entirely intentional, of course; the main cast adopting their “Phantom Thief” personas (no pun intended) when in the Metaverse is deliberately exaggerated as part of the game’s overall sense of style, and indeed there are plenty of instances of the game’s protagonist uttering things like “showtime” and “the show’s over” during action sequences. It’s an interesting contrast; the game’s main story and various narrative threads are very realistic and relatable, yet this is juxtaposed with beautifully flamboyant theatrics; perhaps a reflection of how we’d all like to take drastic measures to remove the negative influences in our lives. Anyway. You get the idea by now; Persona 5 is a beautifully presented, immensely stylish game that I nonetheless acknowledge some people may find themselves bouncing off due to its pacing and structure. It has definitely been a highlight of 2017 for many people, however, and thus I felt it was important to acknowledge it in some way as part of these awards. This was a strong contender for my GotY besides NieR.